Mrs. 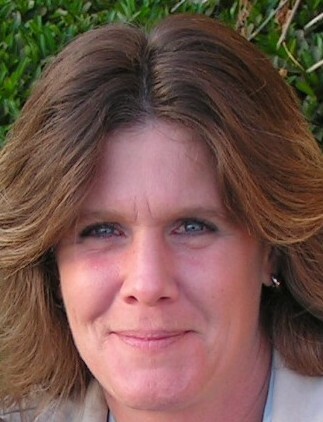 Dawn Hepler, age 52, of Unionville, TN, died Monday morning, March 25, 2019, at her home in Unionville, TN. Mrs. Hepler was a daughter of the late John VanNortwick and June Alice Homolka Clexton. She worked in boat manufacturing for most of her life and loved listening to music from Bob Seger, Fleetwood Mac, and other artists from that genre. In addition to her parents, she was preceded in death by her grandparents; brother-in-law, David Welker; and niece, Chelsea Welker. Mrs. Hepler is survived by a daughter, Jennifer (Derek) Smith, Unionville, TN; sons, William VanNortwick and Adam Patterson, Unionville, TN; grandchildren, Amaya and Brooklyn Smith; sisters, Reneé Welker, Michele Sparks, and Tina (Jack) LeGeune; nieces and nephews, Christopher Sparks, Danielle (Eric) Bradford, Justin (Allie) LeGeune, Derek Welker; great nieces and nephews, Caleb, Mallorie, Jazmine, Briggs, and Remi; uncle, Ed (Yvonne) Homolka; cousins, Adam (Shelley) Homolka along with their 4 children, and Maggie (Tom) Hayes, along with their 2 children; life-long partner of 20 years, Jimmy Patterson and his family including; mother and father-in-law JW (Ruth) Patterson; children, Misty and Travis Patterson; brother, GW (Melissa) Patterson; sister, Rita (Anthony) Bates; and grandchildren, Savannah, Bentley, and Brooklyn Perry. Family will receive friends on Thursday, March 28, 2019, from 5pm until 8pm at Lawrence Funeral Home. Funeral services will be held on Friday, March 29, 2019, at 2pm from the chapel of Lawrence Funeral Home with Jonathan Hedge officiating. Burial will follow in Cothran Cemetery in the Rover Community in Bedford Co., TN.